COATS ALOE™ LIQUID is specially formulated with 90% aloe and allantoin to use as and adjunct or in addition to the other COATS ALOE™ topical products. COATS ALOE™ LIQUID is fragrance and color free. 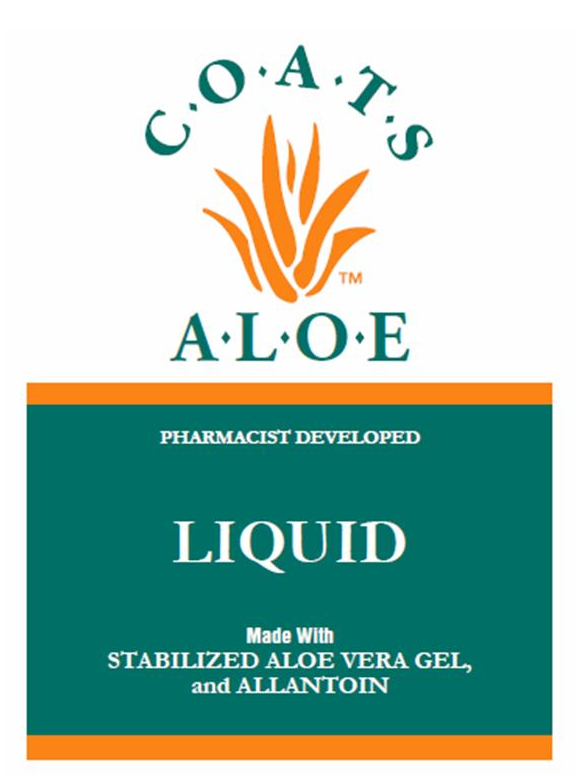 COATS ALOE™ LIQUID IS FOR TOPICAL USE AND IS NOT A DRINK.